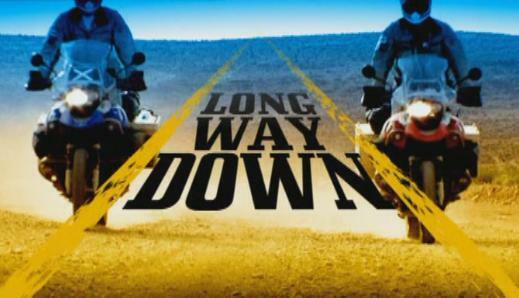 Ewan McGregor and Charley Boorman are back for another incredible motorcycle trip in Long Way Down, the follow up to their incredibly successful, and amazingly watchable, Long Way Round. In this journey, the two friends decide to bike from the very northern tip of Scotland, all the way to the most southern point of South Africa, seeing as much as they can on the way down. 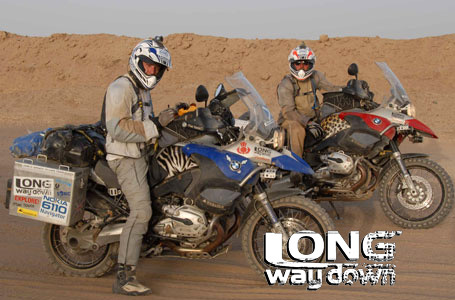 So many interesting things happen to these guys on their trips, and it is of course surrounded by incredible natural scenery, as they make their way through Europe and then criss-cross the African continent. The friendship between McGregor and Boorman is what makes this show tick. They are very likable people, and they are endlessly watchable. It is always cool to see a famous actor just being a regular person, and this very much is how McGregor is. He doesn’t play on his fame, and really does seem to be just a normal guy. He is funny, and relaxed, but gets worked up over the same things as anybody else would. There is conflict in the series, just as there was on Round. Nothing while traveling is ever perfect, and disagreements happen. They are open to them. They always stop to do charity work along the way. This is great to see, and gives their trip more than just the “rich actors wanting to do cool, crazy stuff” idea. I love the planning episodes. It is like a travelers dream, to be pouring over maps like that. The chance to experience so many things. The people they meet along the way, the tiny villages they stay in, the local flavours of Africa. They aren’t just high-tailing it across a continent, they want to be able to experience it as much as humanly possible. The riding itself looks incredible. They go from solid blacktop roads, to brutal deep sand. Even them, being very experienced riders, spend a lot of time falling off their bikes, but still pushing forward in fairly undriveable conditions. Their love of motorbikes is infectious. It would be hard to watch their series without some part of you craving to get your licence, and start learning how to ride a bike, if you don’t know how already. It really does seem like complete freedom. The open road, the views, having your own thoughts all day. Incredible. The human factor: our two main characters get tired, they get grouchy, they want to quit, they need a day off. All of these things happen on any kind of road trip, and they are not immune to it. Respect: they are always respectful of their surroundings, and they don’t just come roaring into town expecting the best of everything because they are making a TV show. They are happy to be treated well, and are content with often meager amenities. Boorman and McGregor do not act like primadonnas, which is great. Excellent camera work. With personal video diaries, helmet cams, and a couple of camera men along on their journey, it is captured and edited very well. Not much is missed, and it is put together in a nice, entertaining way. For those who have also read the book that came out before the series, like Long Way Round, this is another great way to accompany it, with the visuals that go along with the descriptions in the book. For travelogues, Long Way Down is top notch. Although I have never held a particular interest in Africa, seeing their adventures has definitely opened my eyes to how incredible the place can be. This is another fun show from these two guys, and would definitely recommend checking it out on Netflix. Ok. Like so many North Americans, I admit to knowing very little about the beautiful game of soccer. I know the best teams in the various European countries around the world, I can name a few of the best players in the world, and I know which teams win in places like England, France, and Spain each year. And, like most, I will watch the World Cup, and I will watch the European Championships. But that’s about it. It is unbelievably rare that I will watch a league match, or even a Champions League game during the year. I need to save myself up for the big tournaments, I suppose. There is something about the World Cup, regardless if you are a soccer fan or not. It is incredible that there is one event that is bigger than any kind of sport we follow in North America, bigger than the Olympics. The fact that there will be about a billion people watching the Germany-Argentina game this afternoon is mind-blowing. Soccer is the universal sport. Everybody can play soccer. It is not expensive, it is simple enough, and it is loved like religion across the globe. Everybody has a team. And in a place like Canada, where people’s backgrounds are incredibly diverse, it is awesome to see, and learn, who people are cheering for. Myself, I will cheer for a few teams (I don’t feel the need to be especially loyal). I always cheer for Italy, because my great-grandfather immigrated from Italy when he was a teenager, setting up the lives of so many people after him here in Canada. I will cheer for any team from the former Yugoslavia. My grandmother came over from Yugoslavia when she was young, her family settling in Edmonton. Her hometown is now in Serbia, but I will cheer for any of the teams from the region. This year, it was Bosnia and Croatia. Neither did especially well, but in the case of Bosnia, it was great to see the continually rebuilding nation even make it to the World Cup. They also won a game, which is a massive step in the right direction for the small country. These places mean a lot to me, because they are a part of my bloodline, but I have also had the opportunity to travel there, and see what incredible countries they are. I also often cheer for teams that are favorites from my travels. I cheer for Argentina, because I love Argentina. I don’t know a lot about their particular brand of football, but the country was amazing, and I want them to do well. It is great to see how people band together to love the sport that is generally unloved here most of the time. Little Italy explodes in the city. The Greek community comes together for every single game. The large French population is out in droves to watch their team succeed. Being Canada, a large number of our populace is of British descent, so every England game is a big deal. There are car flags, and jerseys to be seen everywhere. You learn about where people came from, based on who they cheer for. It seems like the Dutch come out of the woodwork every four years. Where are these guys the rest of the time? Who knows. But they are Dutch, and the success of their team lets you know that they are secretly orange clad crazies every four years. I love it. I love seeing the pride in our national heritages. Of course, if Canada ever made it to the World Cup again (we only made it in once before, in 1986, I believe), it may be a different story, as the majority of people could get behind one team. But it is awesome to see the blending of heritages that we have in this city, and in this country. It’s okay if your neighbor cheers for the Germans and you are English. As for this tournament, it has been incredible. Big upsets, some high scoring games, the usual array of extremely impressive goals and individual performances. There hasn’t really been a team that has stood up and dominated the entire tournament, but it is difficult to argue against Germany and Argentina being here (I really want Argentina to win this thing!). They have been the most solid teams throughout, and neither has dropped a match thus far. That will change in a couple of hours, of course. The Germans have to be the big favorites here, especially with their shocking dismantling of the home team, and tournament favorites, Brazil, 7-1 in the semi-finals. I had to re-read that score several times to make sure it wasn’t a mistake. Like many people around here, all I want to see is an exciting game, where teams exchange chances, and the better team comes out on top. 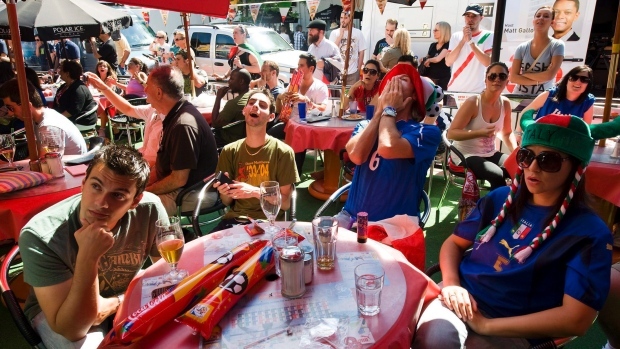 I would also be happy if it ended before overtime, because penalty kicks is no way to win the whole thing (even though it worked for my Italian side in 2006). Best of luck to the two teams, and let’s go Argentina! There are many tales to be told from the horrors of the Holocaust undertaken by the German Nazis during the Second World War. Horrifying tales of the brutality of humans, the most awful things that can be undertaken by one human upon another. Tales of survival, and loss, and the breaking of humanity. These stories are all hard to read; they are all painful reminders of how evil man can be. They are examples of history at its lowest point. But they all need to be read. So that we can learn; so that we can remember; so that we will never forget. One of the best novels I have read in regards to the concentration camps is Elie Wiesel’s Nobel Prize-winning Night. Wiesel was only fifteen years old when he and his family were forced onto the terrible conditions of the trains, and moved to the infamous death camps of Auschwitz and Birkenau. In his most formative years, Wiesel was forced to see things that could never be unseen, and could never be forgotten: he had to deal with beatings, starvation, exhaustion, and death on a daily basis. He witnessed things that most of us have thankfully never known. And he did while trying to survive the entire ordeal. The version of Night that I read includes Wiesel’s Nobel Prize acceptance speech, as well as an incredibly interesting new foreword by the author (I read the foreword after the novel, which is the way I would recommend it, as it provides some interesting changes from the original text, and some of the issues he had with initially having the work published). For example, the original title of the memoir was to be And the World Remained Silent, a jarring and powerful title that was rejected by publishers as too harsh. Too harsh, perhaps, but incredibly correct. Wiesel tells of his ordeal with a plain voice. He goes over the facts, and tries to keep the emotion out of it. He is telling a story of what happened to him, and to his father, during this terrible time. He is not writing for revenge, as he did not live for revenge after his survival at the camps. He states himself that perhaps he is writing to stay sane after what he went through, or to go insane, in order to deal with everything. 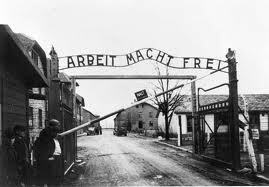 Night gives us a comprehensive view of life in Auschwitz and Birkenau. The paltry meals, the hard labor, the terrifying “selections,” when those unable to work were chosen to be sent to the gas chambers, and death. The book tells us of how those horrors only got worse as the Russians neared the camps, and began liberating them. While the front drove closer to the camps, their lives became worse and worse. Long, forced runs and marches, starvation, and the piling of bodies became daily issues as the Nazis tried to move their camps more to the interior of Germany, in hopes of escaping the inevitable fall to the Soviets and the Americans. End of the line at Birkenau. While Night has become an important and well-read book, being used in classrooms across the world, reading it for the first time, we can understand why. Even though we have all learned about the horrors of the Holocaust, it remains important that we keep doing so. Despite being first published in 1958, this is a book that still needs to be put into the hands of young people, so that they can learn from a first-hand person what it was like in these awful camps. We may not all have the opportunity to travel to the notorious death camps in Poland (I have personally been able to on more than one occasion, providing me with some of the most sobering travel experiences of my life), and that is why this novel needs to still exist, and needs to still be read. Wiesel gives a formidable account in a short amount of space. At barely 120 pages, Night is a very fast read, allowing the horrors to sink into our minds in a very short amount of time. He does not need to provide lengthy, descriptive passages about certain aspects of the camp. We don’t need it, because we are brought there through his voice, the voice of a teenager who only wants a second ration of soup. One of the more interesting aspects of the novel is Wiesel’s admittance that he was driven from his faith, that he did question why the things that were happening to him were happening. We see the corruption of humanity among the prisoners as they fight for survival, and we don’t, for a minute, blame them. These people were broken to the point where there was very little left of what it meant to be a person. But they were survivors, and did what they could to see another day. Their tales are harrowing, and we are forced to question if we could even come close to understanding what they went through, or what we would have done in their situation. Wiesel admits that he was lucky to survive, as he did very little to ensure his survival. He claims that it was not a miracle, because if it had been, then why had so many other worthy people perished in those conditions? Where was their miracle, and what had he done to earn his? All he wanted was for he and his father to make it to the end of the road. It is these stark realizations that makes Night so powerful. That there was a boy, who was broken down and exhausted, able to look at his life poignantly, even when he got to the point where even living and dying did not matter. Night is an absolute must-read. It is a vivid portrayal of humanities darkest moments, and is as important today as it was the day it was published. We need to remember, and Night is one of the ways that we can. It is always a welcome change for me when I can put down the YA novels, and get back to reading books that are intended for adults. It is even more welcome, when the book I choose to read is one as moving, and impressive as The Cellist of Sarajevo, by Canadian author Steven Galloway. 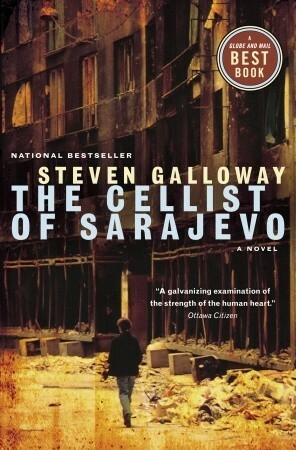 The Cellist of Sarajevo takes place in the war-torn Bosnian capital, during the height of the siege that lasted from 1992 to 1996. The people of the city lived in fear of the constant shelling, and the sniper fire that would rain down from the nearby hills, making daily life nearly impossible to live. The shells destroyed homes all over the city, and the snipers took thousands of lives from the people of the once-vibrant city. They made even the simplest of road crossings a dangerous event. And this is where the beauty of this novel lies. In the daily struggle of the characters, simply trying to make it through another day, all with the constant hope that one day, their beloved city would be returned to them, and would be safe to live in once again. The novel follows a trio of characters, with alternating chapters that establishes their point of view, and their struggle. Kenan is a man who is doing little more than trying to get water for his family. In order to do this, he must load up a precarious ensemble of bottles and yoke them to himself, before making the treacherous cross-city trek up to the brewery, one of the few remaining places where clean water can be found. The detours he takes through the city, the people he meets along the way, and the tragedy that he must encounter truly makes him into a sympathetic character. All he wants is some water to drink, and cook with. Maybe a little so that he can shave would be a great luxury. Dragan is a man who wants to get to the bakery he used to work at, in order to get a meal. This way, he will not need to eat any of the food that his family will have for their meager dinner. His quest is simple, and honourable, and he also meets tragedy along the way, at one of the intersections being patrolled by a distant sniper. During his hours of waiting, Dragan reconnects with an old friend of the family, and is faced with very humanizing situations once the bullets begin to fire. The final character is called Arrow, a Bosnian counter-sniper, tasked to do her best to protect the city that she loves. She is faced with several wrenching decisions as to when it is right to pull the trigger, and when things are better off left alone. The Arrow chapters are consistently great, and there are some extremely tense moments as we sit in a building with her, ready to fire at the slightest movement. Bringing all of these characters together is the Cellist, an unnamed man who has made a name for himself in these harshest of living conditions. One day, when 22 people are killed by a mortar attack while waiting outside in a bread line, the Cellist decides that he will go outside, and on the most dangerous streets in the world at the time, and play Albinoni’s Adagio. He decides that he will do this at the same time every day, for 22 straight days, once for every person who lost their life in the bread line attack. He goes about this task simply, and straightforwardly, usually unaware of what is going on around him. He doesn’t notice the occasional crowds that watch him play, while they are pressed against walls across the street to avoid sniper fire. And he doesn’t know that Arrow is in the buildings above, trying to protect him from the deadly fire of a sniper with the singular goal of ending his daily concerts. The Cellist of Sarajevo is a wonderfully written book, and shortly after putting it down, I have quickly decided that it is instantly one of my all-time favorites. Galloway paints us a wonderful picture of what Sarajevo used to be, what it is, and what it could be again. The simple hopes and dreams of the characters make this story painfully true, even though it is, by the author’s own admission, only loosely based on actual events. The real cellist, Vedran Smailovic, who inspired the novel. Having visited Sarajevo in 2006, I feel a connection with the city, seeing how vibrant, and alive it truly is, as it continues its recovery from the darkest period in its history. Walking the streets and being among all the history of one of the formerly great cities of Europe, makes one understand what the people there have been through, and what a struggle it has been to recover from that dark past. Galloway has created a novel full of characters that you truly care about. Often, in books with multiple lead characters, it is often that you look forward to certain chapters over others, because you simply care about one person more than another. Cellist is not like that, because all of these people are interesting, and all of them are painfully human. This book could have been depressing, and at moments it is, but in the end it is about hope, and the past, and the uncertain future. The Cellist of Sarajevo is so good, I have already pre-ordered Galloway’s next book, The Confabulist. I will also quickly begin delving in to his past works as well. This is a truly solid author, and he tells a story that is brilliant in its simplicity, and heart-wrenching in its depth. 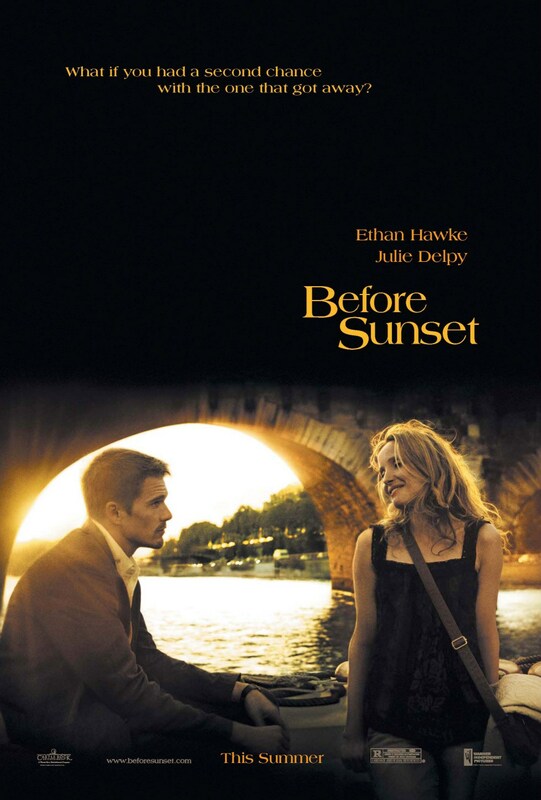 Without a shadow of a doubt, the three films Before Sunrise, Before Sunset, and Before Midnight encompass my favorite film trilogy of all time. Okay, maybe I will call it a tie. With The Dark Knight trilogy. People can take their Godfather series, or Star Wars, Lord of the Rings, The Matrix (does anyone include this in their favorite trilogies? ), or whatever other group of three films they can think of, and in my mind, they all pale in comparison. The three Before movies are perfect, in my mind. Because they are great films, because they are wonderfully acted and written, because they take place in cities that I hold near and dear to my heart, and because of the emotional significance of the films, and where I was at in my life as each of them was released/viewed for the first time. The first thing to love about these movies is that they are set in (essentially) real time. Not just within the film itself, but within their release. The first movie came out in 1995, when we first meet Jesse and Celine. The second film was released in 2004, and the events take place 8 years after their first encounter. Finally, the final (?) installment was released in 2013, and the events in the film take place 9 years after the previous one. This is brilliant. We have the chance to truly see these characters grow. There is nothing fake about their relationship, because we see how they are in their different stages of life. As the trilogy progresses, they get older, wiser, and maybe even more confused. And we are allowed to grow with them. This is a true love story, because it takes place over 18 years. Not a weekend, or a senior trip, or a vacation. It is a lifetime. Seeing Jesse (Ethan Hawke) and Celine (Julie Delpy) go from fresh and naive characters just trying to figure out their way in the world, to seasoned adults burdened by everything that adults are burdened with, is one of the most refreshing things I have ever seen on the screen. And I can’t think of a couple I have cheered for harder than these two. Sure, you always want the guy and the girl to end up together, but we were left for agonizing years, wondering if they ever met at the train a year after their first meeting, or what would happen if Jesse missed his plane from France on his book tour. For years we waited. And, in a way, hoped. As a series, this is perfect storytelling. As individual movies, they are brilliant. I’m not sure how someone could go and watch one without needing to know what happened to the protagonists, but I’m sure those people are out there somewhere. A part of me feels like they didn’t really earn it, not having to wait for the lengthy periods of time between installments, to catch up with them, to know where their lives have taken them. But I hope that they can appreciate it all the same. I feel a personal connection to these films, as I’m sure so many people do, because of where my life was in comparison to that of the characters during each installment. From wandering traveler, to on-the-cusp of success, to having a real life, I feel I can mirror them in many ways. They are older than I am in the film (Jesse is 41 in Midnight), but I get where they are at. Their lives are not exactly the same as mine, but there are definite mirrors there, and as director Richard Linklater tends to do, he connects with the audience, and makes them feel like they are watching a part of themselves up on the screen, like he knows who you are, and wanted to make you into a character. He even manages to do this in his lighter films, like Dazed and Confused. The writing of these movies is excellent, mainly because the script is so loose, and really allows the actors to talk to one another, as real people talk to one another. Considering these films could be viewed as little more than people walking and talking, it seems like it could have been disastrous to just allow Hawke and Delpy to chat, hoping for the best. But they are so natural together, and they play off one another so well, that these films really do represent a slice of life. Some of the most real, albeit often philosophical, conversations one may ever see in a movie. Long takes and very, very, few cuts allow the actors to decide what they want to do with the ideas laid out in the script, and their characters develop in a natural way (this differed slightly on the third film, which, according to IMDB, had a tight script and heavily rehearsed scenes). The third movie follows suit, with the conversations essentially taking place in five locations: in a car ride from the airport, at dinner with friends, on a walk (of course!) through the streets of a small Greek island village, in a hotel room, and at a waterside restaurant. But Midnight offers us something new that we hadn’t seen in the previous two movies, two movies that filled us with hope and belief that true love can be found in the strangest places: fighting. Before Midnight allows us to see the trials and tribulations of love, even if it is the best love story out there, and the two people we, as an audience, have decided are perfect for each other. Spoilers coming. There are cracks in their partnership. Beginning with Jesse lamenting his son leaving their summer Greek vacation for the States, to be back with his mother, the woman Jesse divorced in order to be with Celine. We learn about their history, after Jesse missed his plane at the end of the second film. The couple lived in New York for a couple of years, and then Paris, eventually having twin daughters while living their lives in Europe. Jesse thinks they need to be back in the US to be with his son, while Celine has decided to accept an exciting job offer in Paris. The cracks begin, and they know it, when Celine states that this is how “relationships begin to end.” Their is now an edge to their relationship. They argue in front of their friends, albeit with passive aggressiveness, but we still that they are still in love. Jesse is a successful author. He has written two books about his life with Celine, something that she is not entirely fond of, as well as a third. His writing is what brings them to Greece, as they are hanging around with other authors. Eventually, we see the blowup between the two of them. And it is a mighty battle. On screen, it is one of the better battles between husband and wife (or in this case, long-term partners, as they aren’t actually married) you will ever see. It is painful, and it is real. The culmination, and heartbreaking moment for me was when Celine storms in to the room and announces that she no longer loves Jesse. This crumbles everything that had been created in the whole series. Their love was everything, but even it has its limits. And that was crushing and painful to watch. I won’t spoil the very ending, but Jesse puts it out there that this is real life, and even though it isn’t perfect, it is real. Another great line in a series of films that is essentially a myriad of great lines that manage to strike to the core of the audience. They try to pick up the pieces, reconstruct the fallout of their battle, but we are left to wonder if it will really work, if they are living in illusion, or doing it for real. I think in a love story so strong, we secretly know that one fight will not bring them down. But we are not given the answer; at least, not the whole answer. With Before Midnight, we get to see what happens to our favorite romantic couple. Even the most perfect romance is not perfect, and their lives are not a fairy tale. It was a struggle to make things work, and sacrifices were made. Lives were upheaved. Jesse gave up his marriage, and the ability to see his son on a consistent basis. He moved to Europe. Celine gave up her ambitions, her career dreams in order to make a family for them. It could all seem perfect, but the best part about all of this is that the writers, Linklater, Hawke, and Delpy, wouldn’t allow it. They wanted to show us what it would really be like. And I loved them for it. 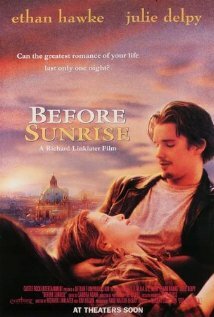 In an interview, Ethan Hawke said that Before Sunrise is about what might be, Before Sunset is about what could or should be, and Before Midnight is about what is (from imdb.com). He couldn’t have said it better himself. By the end of the the three films, we see kids fall in love, reconnect, and survive. And we know that they are going to be okay, which is all that really matters, when it comes to Jesse and Celine. In the course of my travels, I have ended up in some pretty interesting places. The well-traveled big cities, the amazing capitals of the world, the out of the way towns, the middle-of-nowhere train stops, and the places off the beaten track, have all been trampled under my foot. My backpack and I have been to 45 countries (hopefully more to come) and have experienced things that I often struggle to even believe truly happened to me. One of the most interesting places I have ever ended up is the tiny fishing village of Å). 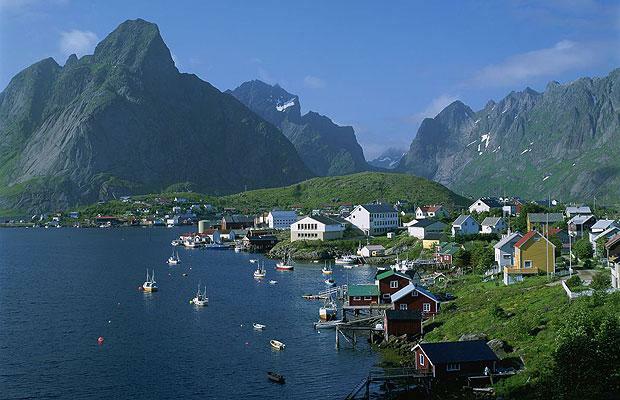 Å is located above the arctic circle, on the amazing Lofoten Islands. How I ended up in this place was a story of loving the country of Norway too much and not wanting to stop exploring it once I had hit my major destinations. So after a lot of train rides and stops in interesting small towns up the coast of the country, I ended up on the islands. Å was a wild frontier, in my mind. The town was miniscule. One store, one restaurant, one real place to stay. A place where I could eat whale steak in the evening, and enjoy the absolutely phenomenal beauty of the fjords during the day. Å was such a small town, that once I had arranged a ride in a fishing boat with a local, to get to an even more remote area of the fjords for an incredible hike, I was given the keys to the local convenience store. The owner wasn’t awake yet, and a friend of his had the key. He told me to go in and take what I needed. I would be able to go back later to pay for what I had gathered for my day of hiking and exploring. I was pretty floored by this, not exactly something that happens all the time in our untrusting, big city lives. I came to think again of Å over the past couple of days as I contemplate an Alaskan road trip during the summer. I like the idea of the frontier, of the last inhabited places, where people become communities due to the isolation of their location. To me, it is almost fairy-tale like. Hence, the reason for remembering Å, possibly the place where I felt the most connected to the people there, as they quickly accepted me into the circle of their small town. I was the traveler who was visiting their daily lives, and they respected me for that, as I respected them for their ways. Fishing, and making lives for themselves in what could otherwise be seen as a desolate area of the country. I consider the natural beauty that I was able to see on the islands, highlighted by the town and area surrounding Å, and consider myself lucky. I have been able to do some things on the road that were perfect moments. Being able to stand on the quiet shores where the frosty North Atlantic meets the Arctic Ocean, staring up at the beautiful mountains rising up from the sea to create some of the most picturesque natural beauty I have ever seen is a true point of thanks and appreciation. Norway was a fantastic place, one of the countries I have loved the most. Part of the reason for loving this place was my time on the Lofoten Islands, and that, in turn, was a big part due to the people and village of Å.
I often hesitate to write about certain places I have visited, because I have accumulated almost too many stories to tell, and I don’t know that my words are able encompass the time I was able to spend in such an interesting, and off-the-track place like Å. But since it was sticking in my head over the past while, I figured it was time to try and tell a little something about the village with the one letter name that I was lucky enough to visit.